It’s probably best not to encourage his ego, but it has always been all about Tony Stark. Many fans are bracing themselves for some kind of terrible and heart-breaking final sacrifice. Infinity War left Tony adrift in space but he has already been shown back on Earth on The Endgame trailers. The big question is how he got there and now a new leak claims to have seen the rough cut of the movie, revealing a truly shocking fate which looks set to enrage fans. The most popular theories about who rescues Tony and Nebula centre on Rocket flying out to find them or Captain Marvel encountering them on her way to Earth. The latter seems ruled out by Marvel materialising out of thin air the SHIELD lab in the latest trailer. The new leak claims Tony encounters some of the most powerful beings in the entire Marvel pantheon and his fate is sealed. The Redditor name already reveals where this leak is going. Redditor kangisinavengers4 posted: “Just came from a screening in the UK. Not sure how to feel, there were a lot of scenes lacking editing and they might change a lot, but the movie should be around 3 hours, 15 minutes. It’s nonstop quipping and clashing, might be missing some stuff, it was too long made little sense and was too much action for the OP. 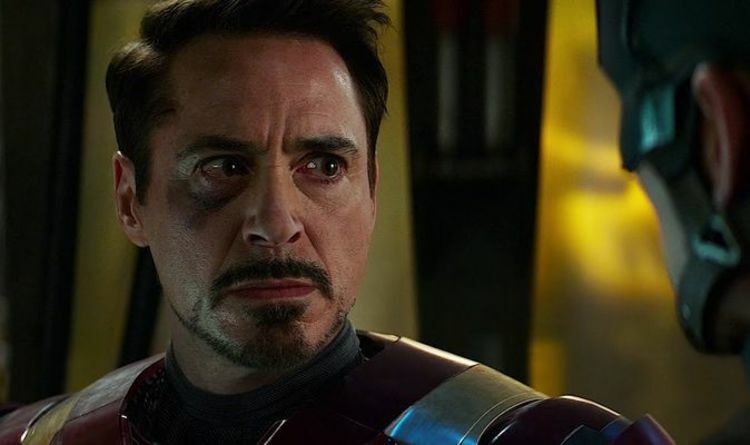 AVENGERS ENDGAME TRAILER; DID YOU SPOT THE ONLY NEW CHARACTER? WHO IS SHE? He expands on what he says he saw: “Tony is left adrift in space, and ends up with the Eternals. They give him tech and he becomes immortal. This version of Tony(Kang) wants to remove all heroes from existence so that threats like Thanos never arise. GUARDIANS 3 DIRECTOR JAMES GUNN REINSTATED BY DISNEY: WHAT IS GOING ON? Apart from introducing major new storylines and characters while trying to bring home the entire first three MCU Phases, this doesn’t fit with the trailer shot of Tony walking with the other Avengers in their white suits. Fans are definitely expecting Marvel to open up new storylines and there is considerable belief Thanos will not be the main villain as someone like Annihilus or Galactus is introduced. But to completely undermine and retrofit one of the most popular big-screen heroes of all time sounds hugely unlikely.